Professor Johnston teaches courses in public opinion, political behavior, and political methodology, with an emphasis on the application of psychological theory and methods to mass politics. His teaching and research examines the motivational underpinnings of political judgment and decision making. His articles appear in a wide range of journals in political science, public opinion, and human behavior. He is the co-author of The Ambivalent Partisan: How Critical Loyalty Promotes Democracy (2012, Oxford University Press), which won book of the year in mass politics from the International Society of Political Psychology, and book of the year in political psychology from the American Political Science Association. 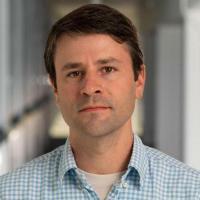 Professor Johnston is a member of the editorial board for Advances in Political Psychology. Johnston, CD; Lavine, HG; Federico, CM, Open versus Closed: Personality, identity, and the politics of redistribution (February, 2017), pp. 1-282 [abs]. Newman, BJ; Johnston, CD; Lown, PL, Erratum, American Journal of Political Science, vol. 60 no. 3 (July, 2016), pp. 805-806, WILEY [doi] . Johnston, CD; Mak, M; Sidman, AH, On the Measurement of Judicial Ideology, Justice System Journal, vol. 37 no. 2 (April, 2016), pp. 169-188, Informa UK Limited [doi] [abs]. Johnston, CD; Ballard, AO, Economists and public opinion: Expert consensus and economic policy judgments, Journal of Politics, vol. 78 no. 2 (April, 2016), pp. 443-456, University of Chicago Press [doi] [abs].